How you issue a news release is just as important as what you write in it. If you issue a news release the wrong way, you have probably wasted your time and it is unlikely to get any media coverage. I spent 14 years working as a journalist in print and broadcast media. I was regularly shocked at how badly even PR companies sometimes got it wrong on issuing news releases. So, I’m going to share what I have learned with you so you can avoid making the same mistakes. 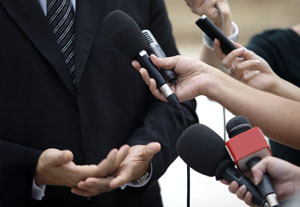 If you are planning your PR well in advance, we aware that certain times of the year are extremely busy for the media. The pre-Christmas season is a prime example, from about mid-November onwards. Unless your story is major news of national importance, it’s less likely to get covered in this season. Most media have Christmas features lined up well in advance, which squeezes space on news pages and tv/radio programmes. If you issue a news release on a Friday, then you minimise the chances of gaining media coverage. For newspapers, they have more planned or feature content at the weekend. So the Saturday paper is likely to be almost full already before Friday morning. For broadcast media, their Friday programmes are usually full by early in the day. Also, most regular news programming is different at the weekend. So, by Monday your news release will be seen as stale news. So let’s turn these mistakes around and try to do things the right way. Here’s what you can do to increase your chance of getting media coverage when you issue a news release. The first week of the New Year is one of the easiest times of the year to get media coverage. Domestic news is quiet because less is happening as even the Government is on holidays. Likewise, the so-called ‘silly season’ in August is also a great time to get coverage. It may not be practical for you to choose either January or August, to issue your News Release. If so, then avoid any time from Mid-November onwards. Then pick the best days of the week – Monday and Tuesday. As the week goes on, news gets busier and some stories get held over to the next day. So the earlier you pick in the week the better your chances of media coverage. Again, early is best. Most media outlets or broadcast programmes have their editorial meetings early in the day. That’s usually when they select the day’s stories. So get your news release out before 10am at the latest. If you can’t because it is an e.g. award announcement, then issue advance notice to the media giving an outline of your story and saying what time you plan to issue your news release. You need to know the right person or people to target in each media outlet. For example, a business story should go to the business editor and also to some individual business journalists. If you know any of the business journalists yourself, then email it to them. Then follow up with a call to make sure they got it and see if they have any questions. If you have questions about how to issue a news release, then call me on +353 86 1740057 or email trish@iniscommunications.com Alternatively, if you would like to book some PR training on writing or issuing news releases, then check out our Training Services.